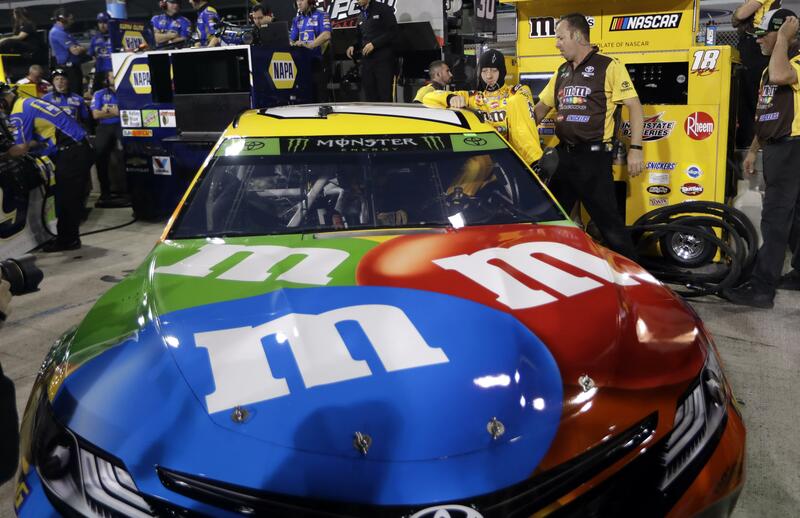 HOMESTEAD, Fla. – Kyle Busch thought he got the jump on the competition with a pole-winning run at Homestead-Miami Speedway. Then he was bumped by teammate Denny Hamlin and the politics began. Reigning series champion Martin Truex Jr. was in a similar position last year and asked Hamlin, a fellow Toyota driver, to give him the first pit stall but Hamlin declined. Busch didn’t think his luck would be any better. Truex qualified third to put three Toyotas at the front of the field. It’s his final race with Furniture Row Racing because a loss of sponsorship is forcing the team to close following the finale. Joey Logano qualified fifth for Team Penske. Kevin Harvick was 12th, lowest of the title contenders, but not overly concerned about where he’s starting. “I don’t think a whole bunch transfers over. I think everyone was just tuned in for one (qualifying) lap,” Logano said. He and Wheeler won their very first race together, the Daytona 500 in 2016, and Hamlin wants to bookend their time together with a victory in their finale. A win would also extend Hamlin’s streak of winning at least one race every season since his 2006 debut. Published: Nov. 16, 2018, 4:19 p.m. Updated: Nov. 16, 2018, 6:41 p.m.